These 2 pianos grace the home of Michelle & Steve Mestman (formerly) of W. Orange. 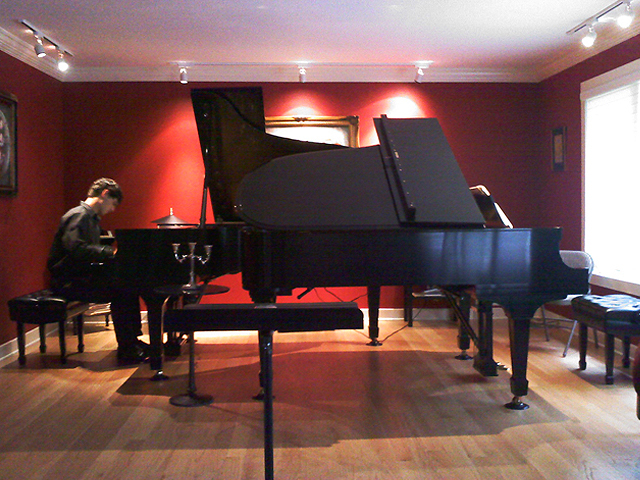 In this photo they are about to be used in a 2 piano reduction of Beethoven’s Emporer Concerto with Drew Petersen. 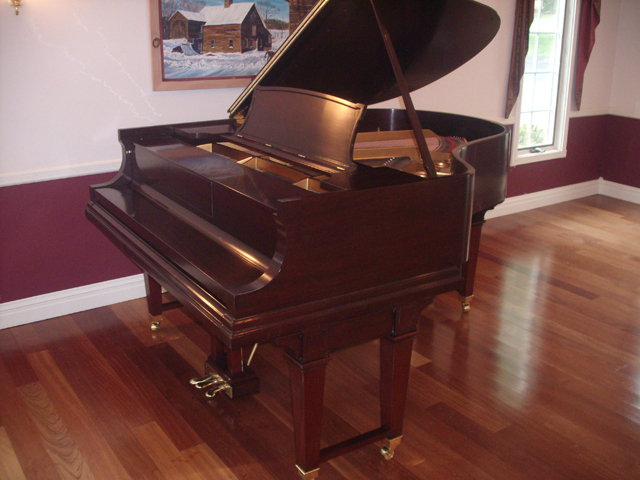 Morrene Hubbard Jacobs of Short Hills wanted to have the family Steinway restored and given to her daughter, Jensen. They were ecstatic with the results! Jensen and her Steinway now live in RI. Upon her Dad’s passing, Brinn O’ Rourke of Ho-Ho-Kus wanted to have a Steinway restored in his memory. This “hard-to-find” Mahogany gem was the result of a lotta lookin’! 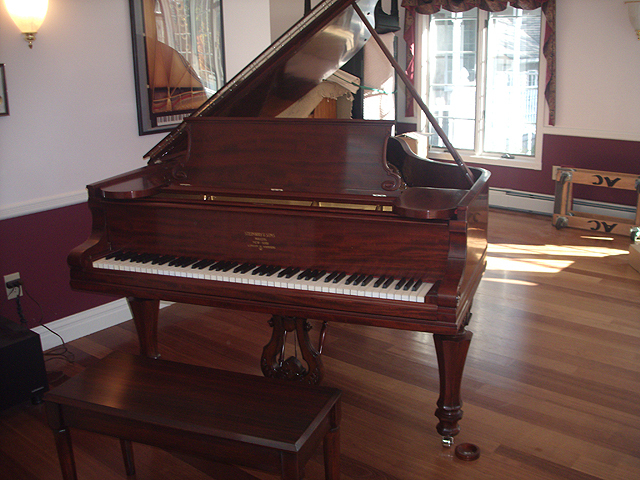 Anthony DiTommaso of Ridgewood wanted to have a vintage Steinway restored for his three daughters. 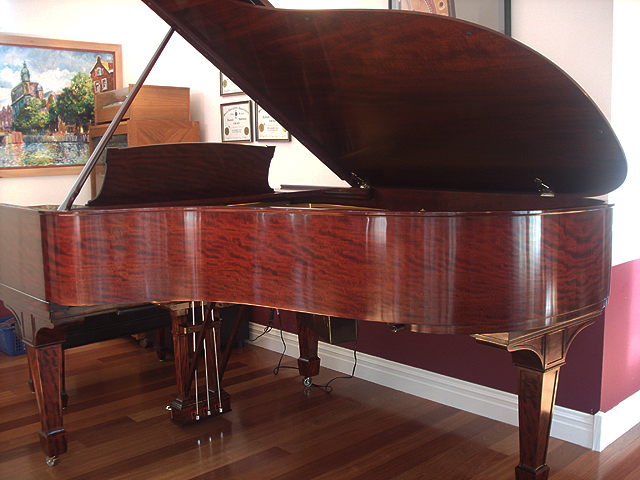 After a careful search, we selected this stunning African Mahogany beauty!